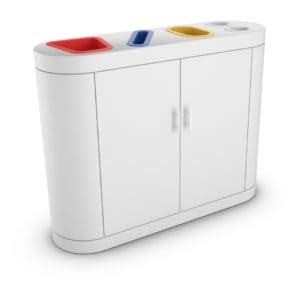 Keep your sensitive paper waste safe from prying eyes with our recycling bins for confidential papers! Designed to prevent private data security breaches, our high-quality recycling bins are also durable, functional, and aesthetically appealing. 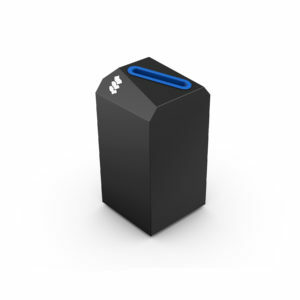 Shhhh…your secrets are safe with us! The private storage of sensitive documents is the desire of any company, public administration, and federal authority. No one wants this information to fall into the hands of ill-intentioned people. To avoid this kind of situation, Urbaniere offers its customers a choice of recyclable bins for confidential documents. 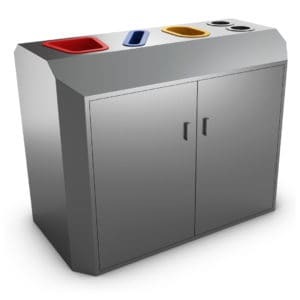 Opaque, secure and locked, multi-bins, for a specific waste or with front opening, we provide you with quality products for your offices or public administrations. 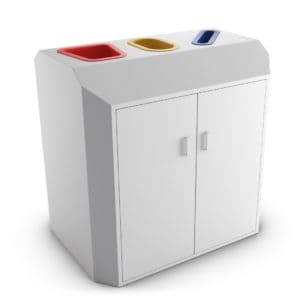 Each of our models has particular characteristics of recycling bins: a color code, symbols, and so on. 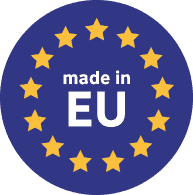 Buying one of our containers ensures quality equipment and reliable service from our team of professionals. Do not hesitate to contact Urbaniere for any additional information. 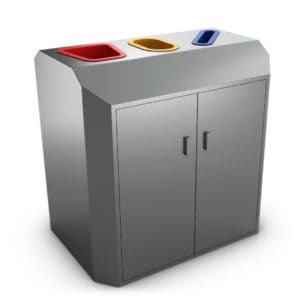 Together, we will evaluate your needs and objectives and advise you on the choice of your trash can. 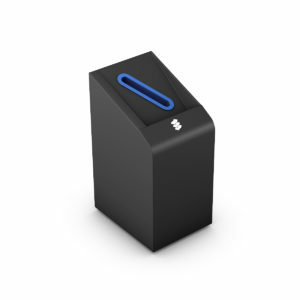 Do you want to be discreet when disposing of documents? Opaque and locked bins are best suited. 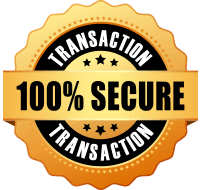 Thanks to our containers for this purpose, you can deposit confidential documents without anyone having access to them. Thanks to its opaque compartments, nothing shows through. Locked, no unauthorized person can open them. 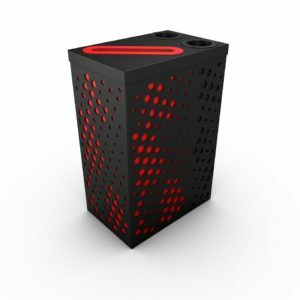 The Vaxjo model is an example of our opaque and secure range. Your documents remain here protected from any indiscretion. 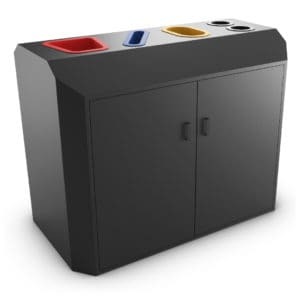 Composed of four compartments, it houses the plain paper bin, the office paper bin, the bottle recycling bin, and the cup recycling bin. 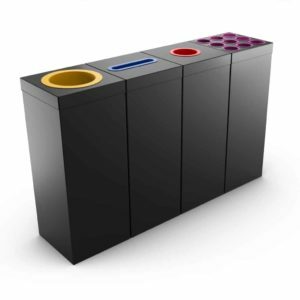 This quantity of compartments allows a high-quality waste separation. Using a color code that differentiates the compartments, Vaxjo has an elegant design with perfect curves. 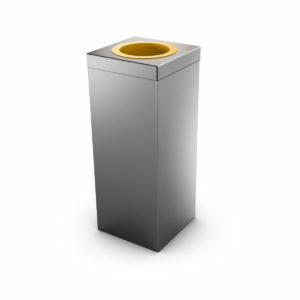 You will have no hesitation in placing this bin in a quiet and dignified surrounding. 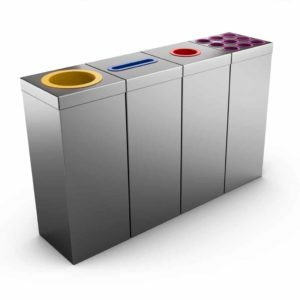 Vaxjo can be used as a stand-alone bin or as a recycling station with all its compartments. 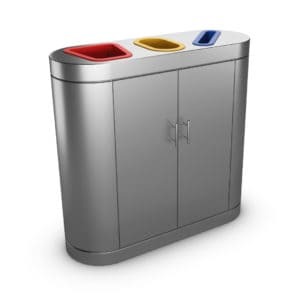 It is ideally suited for an optimal distribution of waste containers. You may decide to place the cup holder near the coffee machine while the one for plain paper may be located in an office. Do you want to protect the integrity of your company? Consider purchasing this product. Use our services through our various contact options. Your papers are protected from prying eyes. Protection of your business. Documents used for the wrong purposes can threaten the future of a company. This is why a referent can lock our containers. In addition to the paper waste from a company or public authority, it is possible to dispose of light bulbs, cups, cans, and batteries in these sealed and confidential bins. The Auriga recycling bin consists of two compartments, yellow and blue, for plastic and paper waste. 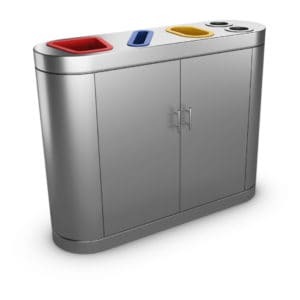 Made of stainless steel, it also has two smaller containers. Each of them has two openings to simplify the deposit. These two small compartments are used to store light bulbs and batteries. Your employees can dispose of used batteries from their electronic devices. In this way, you participate in the recycling of elements that are toxic to the environment. 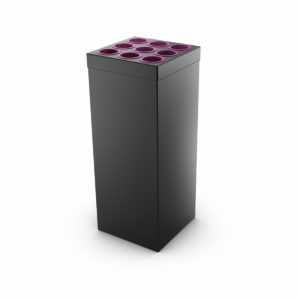 Environmentally friendly, the Auriga bin allows the recycling of sensitive waste. 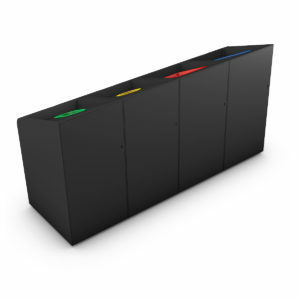 It adapts perfectly to the environment of an office or conference room. Inexpensive, it will give you satisfaction when used. Robust and resistant, it brings a touch of elegance and modernity to your installations. 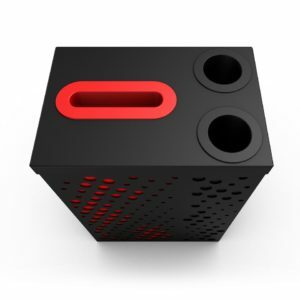 Customizable, it is possible to change the colors of the compartments as well as their size. Respect for the environment. You participate in the recycling of highly polluting elements. 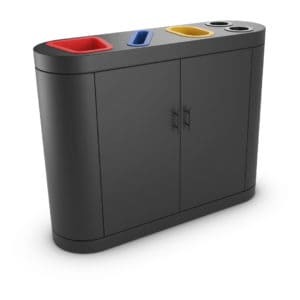 You adapt the capacity and colors of the different containers to suit your needs. Not enough space for your waste in one bin? Choose a multi-box bin from the Urbaniere range. 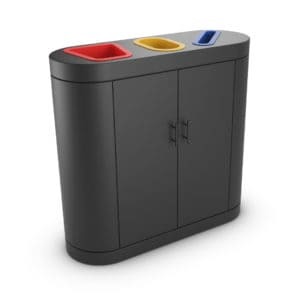 Our company offers you a large quantity of multi-box waste containers for confidential documents. The Copenhagen model provides its users with efficient waste sorting. 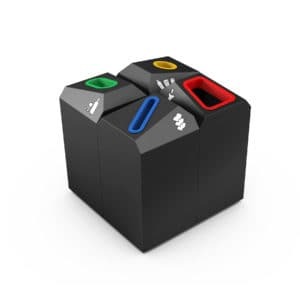 Consisting of four compartments, this multi-box container is color-coded to guide users in their actions. 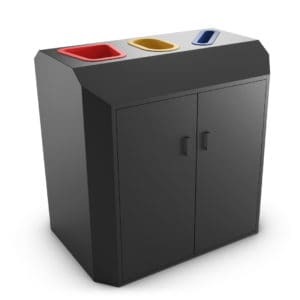 With its elegant appearance and color, this confidential document recycling bin provides the necessary discretion to deposit essential items. Made of stainless steel and rustproof, it has a closet appearance that allows it to blend into a corporate office or meeting room. You have the impression that you are in the presence of a storage unit. 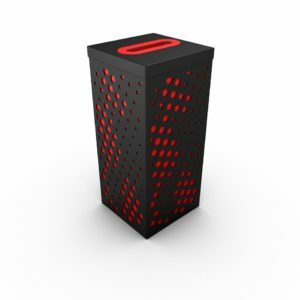 This recycling bin for administrative documents can be customized. 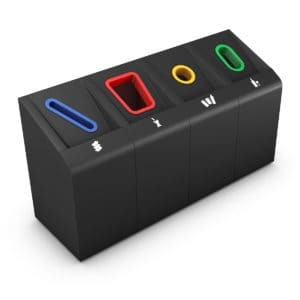 Color code, structure color, compartment size, and so on. 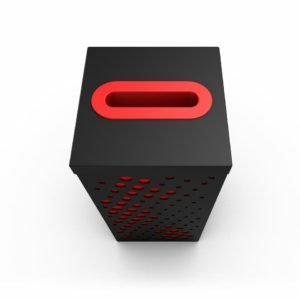 Urbaniere adapts its multi-box model to all your suggestions. Buying this type of bin allows you to sort garbage efficiently. You will not regret this purchase if it is necessary for waste management. Do you prefer a front opening for an easier deposit? Urbaniere offers you models of this kind at competitive prices. 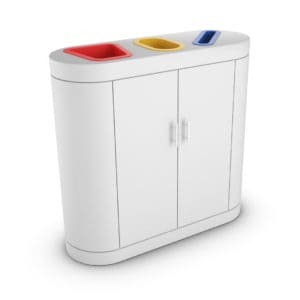 The Max Tri model has four front opening compartments for organic waste, glass, paper, and plastic. 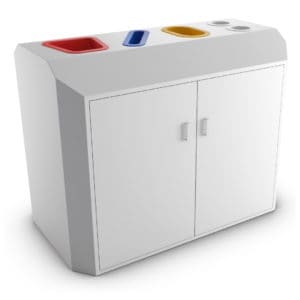 With color-coded openings and graphic symbols, waste separation is easy and convenient. 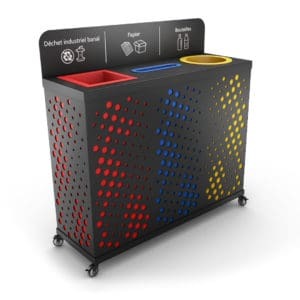 Thanks to its ultra-modern appearance, this front-opening recycling bin blends perfectly with the modern decoration of an office, break room or cafeteria. Made of stainless steel, it is a sturdy and hard-wearing object with a long-life expectancy. 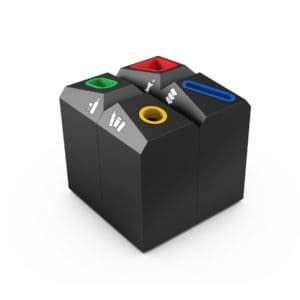 It can also be customized to meet all your needs: colors, compartment sizes, and so forth. 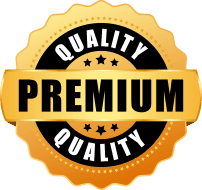 Urbaniere tries to meet all your requirements for your highest satisfaction.